Set on a beautiful 1,300-acre country estate on the outskirts of Cavan Town, Farnham Estate is one of Ireland’s most popular Spa & Golf destinations with a superb reputation for being a genuine ‘retreat to nature’. 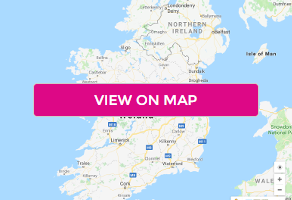 Conveniently located just 90 minutes from Dublin and 30 minutes from Enniskillen, you will find yourself in an environment void of frenzy yet full of life. The Health Spa, recent global winner of "Luxury Countryside Spa in the World Luxury Spa Awards 2018", is a calm world of peace and serenity, linked to the magnificent estate in which it sits in a very real way. As well as the soothing views of the estate from the pool and relaxation rooms, and the images of the trees, flowers and plants of Farnham used throughout the Spa, the link between Farnham Estate Health Spa and its lovely surroundings is also reinforced by the use of the world-famous, ESPA and Yon-Ka range of products and treatments. The modern wing in the Farnham Estate Cavan Hotel has 146 wonderfully comfortable and tasteful contemporary standard rooms, spread over three floors. Attention to detail is absolute. The interior design has blended cool contemporary design with the very latest convenient room amenities including walk-in showers, wireless broadband, free high-speed wireless internet access, hairdryer, minibar on request, tea/coffee provisions and flat screen LCD televisions. The Cedar Rooms Restaurant is the recent conversion of an old stone building, historically lived in by the Estate Managers who looked after the extensive 1,300 acres of land over its 400-year history. Executive Head Chef Daniel Willimont creates dishes that are true to the ingredients, showcasing local artisan producers with menus that change seasonally. All the ingredients are sourced carefully from selected local suppliers and the Estates own kitchen garden. The Cedar Rooms also has a luxurious lounge area for pre-dinner cocktails along with an imaginative extensive wine list. Their world-class 18 hole championship golf course is widely regarded as one of the finest in the county. Approved by Failte Ireland as a preferred golfing destination. Farnham Estate Spa & Golf Resort provides golfers of all levels with a unique and memorable experience. New Club House opening December 2018.